The fact is, once we throw a word or any sort of communication into the wind, whether at someone specific or not, we no longer control it. Each receiver can find things in it, consciously intended or not, that I think are every bit as valid (and “true”) as what the transmitter THOUGHT he/she intended. Negative Capability Press is happy to announce the release of Dividing by Zero by Barry Marks – Birmingham, Alabama attorney and author of the 2010 Eric Hoffer Award Finalist Sounding. Dividing by Zero is a a riveting volume of poems, stories and narratives that weave a complex tale about a man, Raymond Shaw, who commits suicide and his daughter L. The unique structure, which Marks uses to tell both L. and Raymond's story, is inspired by the Talmud – the Jewish Rabbinic text that contains statements of religious law, case histories and interpretative notes on each page. This title is available through your local independent bookstore via IndieBound or on Amazon.com and will soon be available for distribution through SPD (Small Press Distribution). 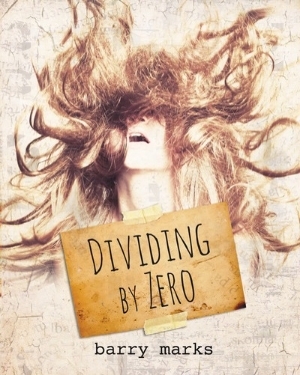 Barry, Negative Capability Press is proud to publish Dividing By Zero. I think a lot of our readers would be interested in learning more about the book, especially your thoughts about the process as you wrote it. We don't usually ask this about poetry books, but what is Dividing By Zero about? Well, it isn't exactly a poetry book and there is a story. A daughter finds her father's unpublished poems, work he never shared. She resolves to publish it along with a strange narrative he left about his life and her own stories and memories of life with him. The book combines poetry, fiction and personal remembrances. Did it start out that way? Yes and no. Years ago, I was introduced to the Talmud, a centuries-old rabbinic text in which each page contains a statement of religious law and case history, augmented with commentary in the margins by half-a-dozen rabbis and scholars. That seemed to me to be a wonderful way to express something difficult to describe, be it the law or human experience. How can we state the "truth" unless we can see it from many perspectives at once. A sort of written cubism seems necessary to address the mystery of truth. As I assembled poetry for a new book, I kept feeling that something was missing and that there should be more than just poems. One day, I remembered the Talmud and it mushroomed from there. I decided I wanted to present multiple points of view, but more than that, multiple modes of written communication, not only poetry and what it can share, but fiction and its allegorical message and narratives with their often flawed perspectives. The poems are at first funny, then increasingly thoughtful and finally downright somber. Are you saying that this is how life is? No. Bear in mind that the conceit is that the poets daughter assembled these poems. In some ways, the order reflects what she saw her father's life and her hopeful belief that he became more empathetic at the end of his life. Tell the truth, are you Raymond? I hope not. Who we are and what we are really like is best told by those who love us. Ask my children, especially my youngest daughter. You say in your preface that none of your characters resemble real people and none of the events described in the book ever happen. Yet you call this a true story. How can that be? This goes to the heart of the book. As it developed, I realized that I was trying to tell a story not by a simple first or third person narrative, but by the emotions, perceptions and reactions to experiences of the characters. If I ask you "what did you do today?" You will say, "I got up slowly, ate breakfast, was late for work but got there before the boss noticed." But what you experienced was not just those factual events. No one stood behind you saying, "You're up, you are eating, you are rushing to work..."
What you experienced was more like: sleepy....awake...disoriented....hungry... full...anxious... scared....relieved." In fact, it might be more accurate to tell a story about a knight who awakens from a witch's spell, shakes his hunger with food from a basket left by fleeing peasants, thinks himself in a strange kingdom where he does battle with a fire-snorting dragon with a great glass eye, who he vanquishes without realizing that he is in the present and he has done battle with a bus. Of course that is a silly story that has nothing to do with what actually "happened" but is it really like what you experienced in many ways? Cliché alert: I am asking for your definition of truth. Would you call this book experimental? I am thinking here of some of the work published in Against Expression: An Anthology of Conceptual Writing, edited by Craig Dworkin and Kenneth Goldsmith. Your book makes exciting use of typography in portraying the worlds of father and daughter. When I hear that word, I think of a confusing, boring, book that is either academic or downright impossible to understand. I hope this book is fun, accessible and worthwhile whether or not the reader "gets" what I am trying to do. As I assembled poetry for a new book, I kept feeling that something was missing and that there should be more than just poems. One day, I remembered the Talmud and it mushroomed from there. In the case of your book, I’m sure your realize that from the process form initial manuscript to finished product was not a quick one. We went through many edits and back and forth exchanges in terms of content and format. Would you please comment on the revision aspect of editing and publishing? This book was in many ways a collaborative effort, which is how the editorial process should work. After talking to you and seeing your comments, I rethought the format (there were four elements at one time, instead of three) and at a couple of points, had to ask myself what I was really trying to do. Even when I disagreed, rethinking and responding to challenge made it a better book. 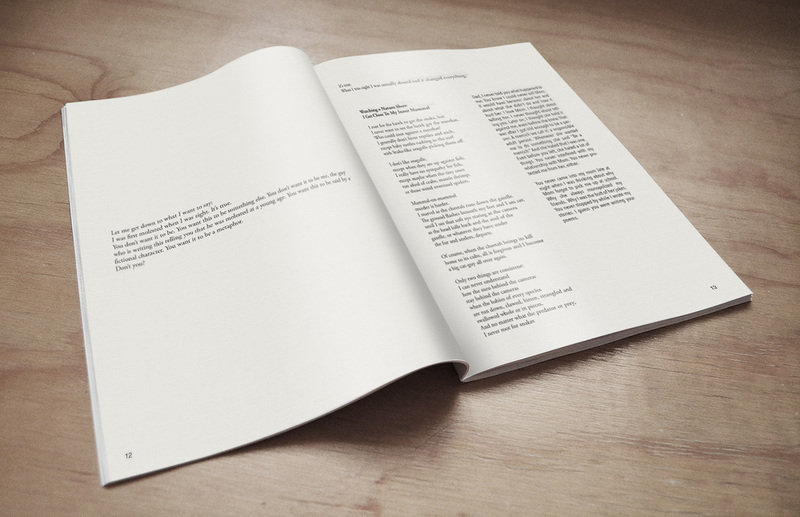 Part of the challenge was the fact that the format demanded synchronization of poems, stories and narratives. I didn't want them to be too close. I did not want the narrative to explain the corresponding poem or what was going on as one or the other was written. Remember that this is L. assembling her father's work and her own and I didn't want it to look contrived. Nevertheless, when a poem was deleted or replaced, I often had to reorganize the narratives and stories around it. I have to tell you a funny story. Just as I thought I was done, about 6 months ago, I read a book on Maxwell Perkins, the Scribners editor who guided Hemingway, Fitzgerald, Wolfe, Lardner and others. While I didn't fancy myself one of those guys, reading about the torturous rewrites, and passionate arguments made me feel terribly guilty. I put the book away for a month, came back to it and dropped, moved or revised 30% of what I thought was perfect. Emily Dickinson is dead. We can’t sit back and assume that even after we cease to be, someone will pull poems from our dresser drawers and gift them to the world. How important do you think social media and marketing is to the poet today? It depends on what the poet wants. Once again, I'll turn to the book. If we want to be Raymond and put our work in drawers, then we deserve what we get out of it. If we care enough to want to share, if we want to be really serious about doing our best, then having it read is important. Sure, you can get carried away. I detest social media and marketing my work sometimes feels degrading. But when I read to an appreciative audience, I can see what works and what doesn't and really hear myself for the first time. When someone I don't know writes to me or stops by a reading and gives me feedback, I feel less like a strange little man hiding away scribbling and more like an artist true to both his craft and his humanity. OK, that was inflated, but if we don't get our work out there we risk being Raymond. Now, Barry, what next? Do you have thoughts about what directions you want your writing to take? Of course, I have a couple of dozen new poems, one or two of which are pretty good. ( You know, the book contains less than 10% of what I wrote during the period since my prior book was published). I may do another book of poetry in a couple of years. I'm still toying with the idea of a book that combines poetry with experience/commentary/prose - perhaps more directly related than DBZ and more Talmudic. It would take a lot of work and I would want a serious, action-heavy plot. I have the first chapters and/or outlines of several novels I never got around to. On the other hand, I'm working on a chapbook of minimalist, visual and funny very short poems. Really stupid stuff. I may let that part of my brain take over for a while!